Study abroad – traveling to hot exotic landscapes, mingling with the locals, and perhaps squeezing in a few classes before an afternoon siesta. While Olivia Gilmore’s trip to Spain included all of these typical activities, she also managed to add in something quite different from the norm: undergraduate research. Gilmore, a December 2009 graduate in international studies with a concentration in environmental affairs and minors in Spanish and environmental science, decided to further benefit from her summer study abroad by doing research on aspects of Spain that directly related to her collegiate focus. “I’ve always had an interest in clean, renewable energy, especially after taking numerous environmental courses for my minor in environmental science and my major concentration in environmental affairs, but I didn’t know a lot about the technical aspects or logistics of these kinds of projects and wanted to further my understanding,” said Gilmore. From windmills to inexhaustible solar panels, her research focused on Spain’s renewable energy; she then compared these results to what is occurring in the United States. “Doing research in Spain made sense because they have gotten quite a bit of attention lately for their renewable energy capabilities in solar and wind. I thought it would be interesting to see exactly what they have accomplished, especially since European nations are generally considered to be more environmentally conscious than the US,” Gilmore explained. Like many other countries, Spain is interested in decreasing its reliance on fossil fuels and looking for more environmentally stable solutions to meet the country’s needs. It is currently the world’s third largest producer of wind power and fourth largest manufacturer of solar energy technology. By 2010, Spain hopes to generate twelve percent of its primary energy from renewable sources. Although this research was a tremendous task to accomplish over a summer semester, Gilmore used her resources from a previous study abroad experience in Spain to facilitate the process. “Since it wasn’t my first time studying in Spain, I was able to devote more time to research than I would have otherwise. I already knew Madrid very well and had contacts at the university there to help get me started,” Gilmore explained. In addition to using class time to practice her language skills, she worked with her professors to find useful information and people to further her research, such as contacts at Acciona, one of Spain’s largest solar and wind energy providers. Gilmore used her skills in Spanish to research companies, then called them on the phone or interviewed them in person – all in a foreign language. 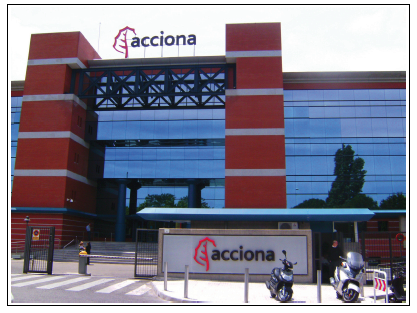 “It was daunting at times to walk into a huge corporate building such as Acciona and be nervous about making grammatical errors in Spanish while asking them about their wind farms or solar projects. I guess I overcame it by just not getting discouraged and not worrying about making mistakes.” By taking notes ahead of time and not being afraid to go outside of her comfort area, she was able to accumulate a great deal of primary, up-to-date research. Gilmore’s interviews provided her a unique perspective on international studies concerning both the business and social sector’s thoughts on renewable energy production. Unlike much of America, Spain has a more progressive outlook on the need for renewable energy. Much of the nation’s public funding goes into renewable energy research, and the government is creating economic incentives for clean energy production. Spain and America have very contrasting approaches toward renewables – where America takes a market- based approach, Spain’s government is more heavily involved. Gilmore’s elaborate study, initiated by her strong passion for the environment, archives the history of renewable energy and shows the advancements engineering has made in the last 20 years, as well as the remaining potential. Gilmore’s countless hours in the library provided her with knowledge about renewable energy programs and the governments that support them – a research experience that will last her a lifetime. 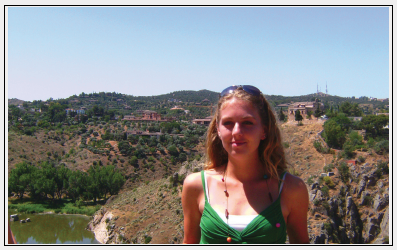 Her study abroad was not just a cultural experience in the environmental politics of Spain but also an academic endeavor in the technological aspects of renewable energy. Using research databases both in Spain and in the United States, Gilmore’s research delves into the physics and regionalized climate patterns of wind turbines that make them the most energy productive. Wind Turbines’ efficiency is dependent upon air density, instantaneous wind velocity, and air intercepting the wind. Air temperature affects density; meaning colder air is denser and thus creates more energy. Her study even delves into “avian mortality” from wind turbines that are in bird migration pathways and examines how people can avoid avian deaths. Gilmore’s work further explores the engineering behind the photovoltaic solar panels that Spain is so fervently developing to secure its energy future. Basic photovoltaic cells are made from silicon with new technologies using gallium arsenide, amorphous silicon, and copper indium diselenide. A thin sheet of the material is used to form an electric field. When light strikes the sheet electrons are transferred and their energy is collected in an electric current. Considering Gilmore’s background in international studies, her research into the more technical fields of renewable energy is impressive. Her faculty advisor, Dr. Rich, was extremely proud of her work in Spain. “I was enormously impressed with the access she got to both government and private sector officials, for the information she received and the initiative it took to speak with such prominent individuals,” said Dr. Rich. “The way she was able to put the Spanish experience into an international experience was the best part of her research.” He is confident that we will see Olivia playing a prominent role in renewable energy policy in the near future and feels that there is a great need for committed individuals like her. Gilmore hopes that her research and the research of others will help bring a sense of urgency to the need for renewable energy projects, and that in the very near future, there will be a world powered by clean, limitless energy. Olivia Gilmore graduated from Virginia Tech in December 2009 with a major in International Studies and minors in Environmental Science and Spanish. Her strong interests in renewable energy, international environmental policy, and the Spanish language, prompted her to pursue an independent research project while studying abroad for the second time in Spain during the summer of 2009. 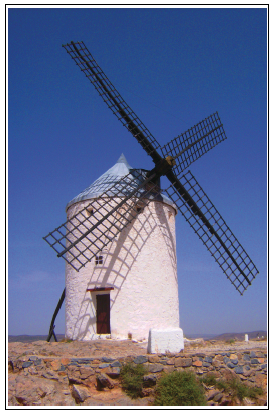 What began as simply a study of Spain’s recent progress in the solar and wind industry grew to an expansive research project spanning the history, mechanics, politics, and environmental science behind the growing solar and wind energy movement. She sought the advice and support of Professor Richard Rich of the political science department throughout the independent study,whose courses in global environmental issues and international affairs heightened her interest in the subject. Other activities while at Virginia Tech included participating in an international forum in Berlin, Germany for the Institute for Cultural Diplomacy, membership to the Phi Beta Delta international honors society, and playing lacrosse for the national championship winning Virginia Tech woman’s club team. Olivia currently resides in Pittsburgh, Pennsylvania and plans to attend graduate school to pursue a master’s degree in environmental science and policy in the fall.